BERLIN (AP) — At first glance Christel Paweski's small plot of land, with its garden gnome and flowerbeds, appears to be the epitome of comfortable German retirement. Tucked away among the flowers are rows of potatoes, peppers and cabbage that the former nurse carefully tends. But her gardening isn't a hobby — it's survival. On her meager pension, Paweski says she simply can't afford to buy groceries at the store. Paweski's plight and that of millions of other Germans living below or close to the poverty line burst onto the campaign for the Sept. 22 national election after she tearfully confronted Chancellor Angela Merkel on national television, asking whether the country's leader had forgotten the growing numbers of retirees and working poor who have missed out on Germany's economic success. 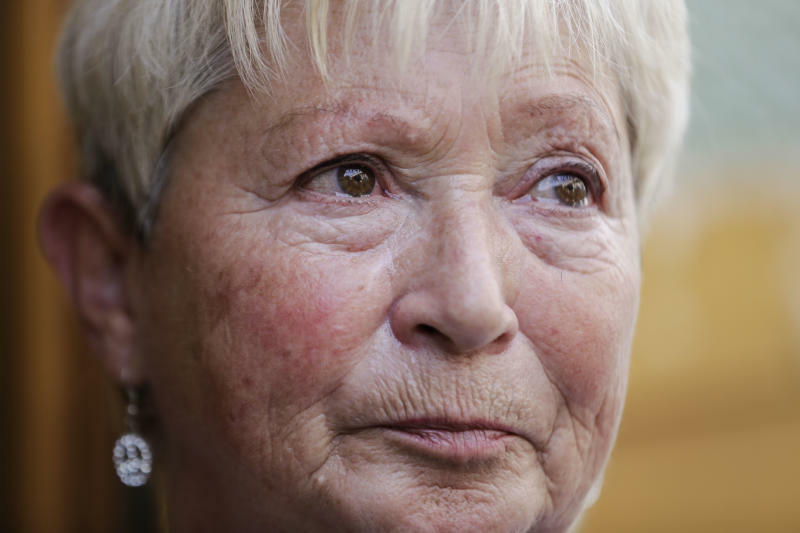 "I didn't want to cry in front of her," Paweski told The Associated Press in the poorly heated, rickety wooden shack where she spent the last four brutal Berlin winters, before recently finding an apartment she could afford. "But then I remembered how I used to go to bed with three pullovers and three pairs of socks in winter because I didn't have a proper heating." 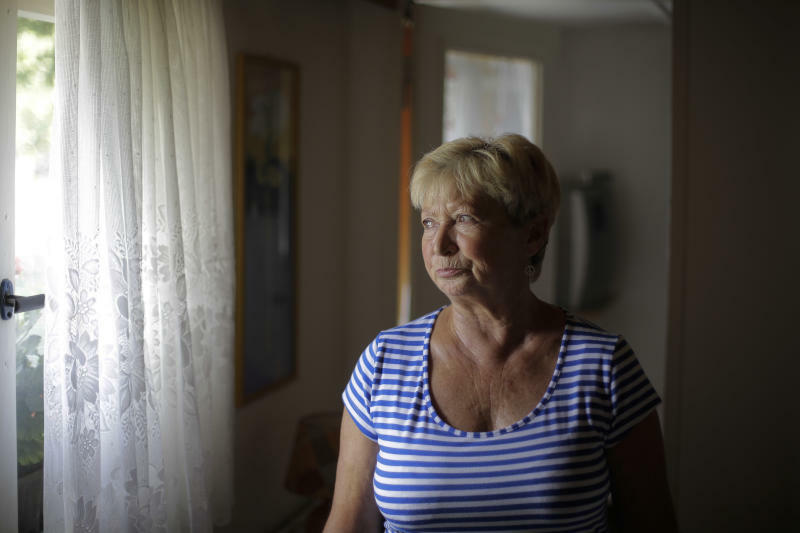 Paweski, who worked in a hospital and a nursing home before retiring six years ago, barely gets by on her monthly state pension and housing benefit of 723 euros ($952) from which she pays 310 euros for rent and electricity. The account of the divorced mother of one of relying on food handouts and homegrown vegetables — and still sometimes going hungry in order to buy clothes — doesn't chime with the expectation most Germans have of being able to retire in relative comfort after decades of work. It also jars with the image of wealthy Germany as an oasis of prosperity amid Europe's economic turmoil. To be sure, with a booming export surplus, full tax coffers and an unemployment rate of 6.8 percent, Germany is the envy of many of its European neighbors, who are enduring sky-high levels of joblessness and public debt. Berlin has encouraged Greece, Spain, Italy and others to emulate a series of economic reforms it began a decade ago that helped drive down the cost of labor and boost Germany's competitiveness. But many economists say the reforms — begun by Merkel's center-left predecessor — have also pushed down real wages and put hundreds of thousands precariously close to the poverty line. Germany is also one of the few European nations that don't have a minimum wage — putting further pressure on the lowest earners. Since Merkel came to power in 2005, the number of people considered in poverty or on its borderline has grown by about 400,000 to 12 million, according to the Federal Statistics Office. In Germany, a single person is "at risk" of poverty if he or she earns less than 60 percent of the monthly median income — or less than 869 euros after taxes each month. There has also been a dramatic increase in people who rely on food handouts, with the number more than doubling to about 1.5 million since 2007, according to Jochen Bruehl, chairman of a national association of food pantries — charities that hand out groceries for poor people to cook at home. Then there are the estimated three to five million of Germany's 80 million people who live in "hidden" poverty, refusing often out of pride to ask for state benefits they would be entitled to because of their low income, according to the Institute for Employment Research. Marcel Fratzscher, president of the Berlin-based German Institute for Economic Research, called the drop in unemployment from 12 percent in 2005 to 6.8 percent today "certainly a big success." "But there's a significant number of Germans whose real income is lower today than it was a decade ago," he said. That's largely because inflation, especially the cost of food, electricity and rent, has outpaced salaries in recent years, leaving workers with less money at the end of the month. According to Labor Ministry figures released last month, one in 10 Germans in full-time employment now have a second or even third job to help them get by, an indication of how wages have failed to keep pace with costs. These are often 'mini-jobs' that allow people to earn up to 450 euros tax free each month. Critics say these jobs — which come with fewer benefits and less job security — have even begun to replace permanent full-time contracts in some sectors, such as the restaurant and retail industries. Increasing numbers of retirees, too, are taking on mini-jobs to make ends meet. Meanwhile, elderly men peering into trash cans to find glass bottles they can return at a store in exchange for a few cents have become a common sight in many German cities. Bruehl says the number of Germans going to food pantries would be even higher if the social stigma attached to them wasn't so strong. "At the start it was mainly jobless or homeless people. But there are also people who suddenly realize they can't make up a shortfall," Bruehl said. "People don't have that many areas in which they can save money." Merkel's main challenger, Peer Steinbrueck of the center-left Social Democratic Party, has seized on the issue and promised to introduce a national minimum wage of 8.50 euros that he says would benefit some 7 million workers. Steinbrueck has also proposed increasing taxes for the wealthiest five percent, a plan that finds favor with voters like Paweski. "The millionaires should tighten their belts for once," said Paweski, who said she last voted for Merkel in 2005. Merkel — who has fervently preached austerity abroad — said she took Paweski's case seriously, perhaps mindful that most polls put the combined share of votes for left or center-left parties on a par with that of her center-right coalition. "I haven't forgotten her," she said after Paweski's emotional appeal.